The luck of the Irish is def not with us as we take on another sequel with Leprechaun 2 (1994) directed by Rodman Flender and starring Warwick Davis, Charlie Heath, Shevonne Durkin, and Sandy Baron. Did the first movie even happen? How many powers do Leprechauns have? What are the rules concerning sneezing and picking a bride, people sneeze all the time. All these questions and more are answered this week! It's Robot on Robot action as we take on the post-apocalyptic sci-fi action movie that may have inspired alot more than we give it credit for with Robot Jox (1989) directed by Stuart Gordon and starring Gary Graham, Anne-Marie Johnson, Paul Koslo and Michael Alldredge. How many more battles have to happen before the territories are conquered? What exactly is the point of the jungle gym room? Will the future be less progressive than it is now? All these questions and more are answered this week! This month on Shorties we discuss what we're watching outside the show and announce our Christmas themed episodes for the month of December! The Boys are Joined by special guest Walter Thornburgh to push the cool factor to eleven with the cyber-punk 90's computer geek film Hackers (1995) directed by Iain Softley and starring Jonny Lee Miller, Angelina Jolie, Jesse Bradford, and Matthew Lillard. Why does any movie with hacking involve a physical navigation through a CYBER world? Is a grown man with a trench coat and skating around on a board intimidating? How does everyone in our generation know "hack the planet?" yet this movie bombed so hard? 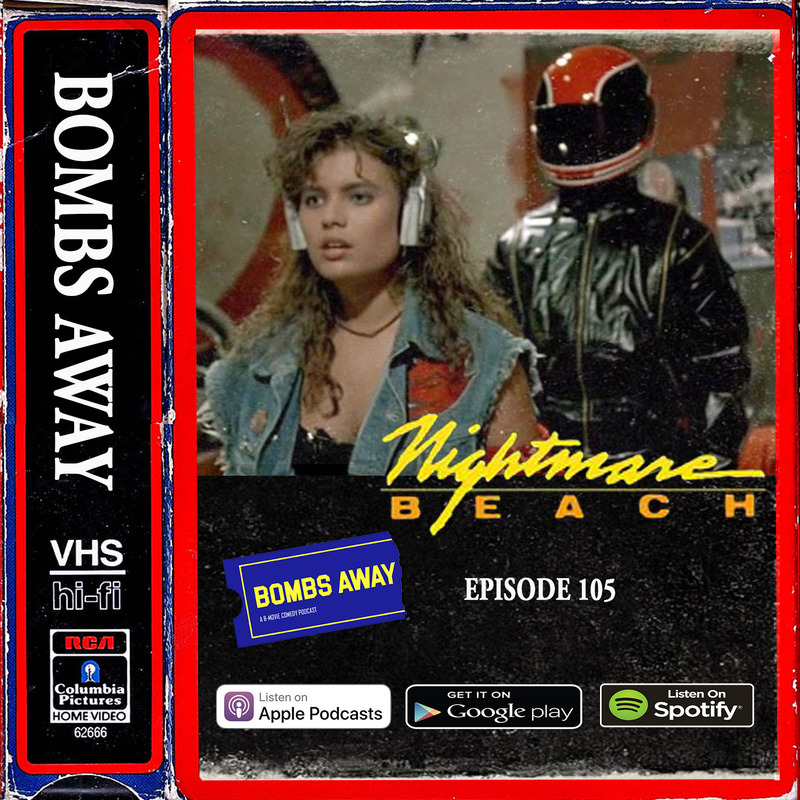 All these questions and more are answered this episode of Bombs Away. Jonathan and Jarrett take on their employer's past digressions once more with the family-friendly live film adaptation of the beloved 80's cartoon Inspector Gadget (1999) directed by David Kellogg and starring Matthew Broderick, Rupert Everett, Joely Fisher, and Michelle Trachtenberg. Is Inspector Gadget alive or is he A.I? How can you proceed with the Gadget Project without the consent of the person involved? Do you just have the ability to immediately hack someone once they agree to work for you? All these questions and more are explored this week on Bombs Away! Another sequel has hit the show and this time it's hungry! It's the 80's horror-comedy sequel to the 1984 original, C.H.U.D. II: Bud the Chud (1989) Directed by David Irving and starring Brian Robbins, Bill Calvert, Tricia Leigh Fisher, and Gerrit Graham. Is this film just a comedic rip off of Day of the Dead? Why are these CHUDs nothing like the original CHUDs? How easy is it to break into the C.D.C.? All these questions and more are answered this week! This month on Shorties we discuss last month's Live show and give thanks before diving into our announcements for the 4 movies of September. Are you ready for the most obscure movie we've done so far? Probably not but here we go anyways with the Cut-and-Paste Z-Grade Hong Kong Karate Action flick Cobra vs. Ninja (1987) Directed by Joseph Lai and Godfrey Ho and starring Richard Harrison, Stuart Smith, Alan Friss, and Paul Branney. How many films did Godfrey Ho film vs were made? What are the Ninja Commandments? Do ninjas walk around in Katsup and Mustard outfits normally? All these questions and more are answered this week! The FULL MOVIE can be viewed on our Youtube page. Enjoy the insanely funny Cobra vs Ninja (1987) in a 4k Upscaled version of a VHS Rip! Click the title to watch! 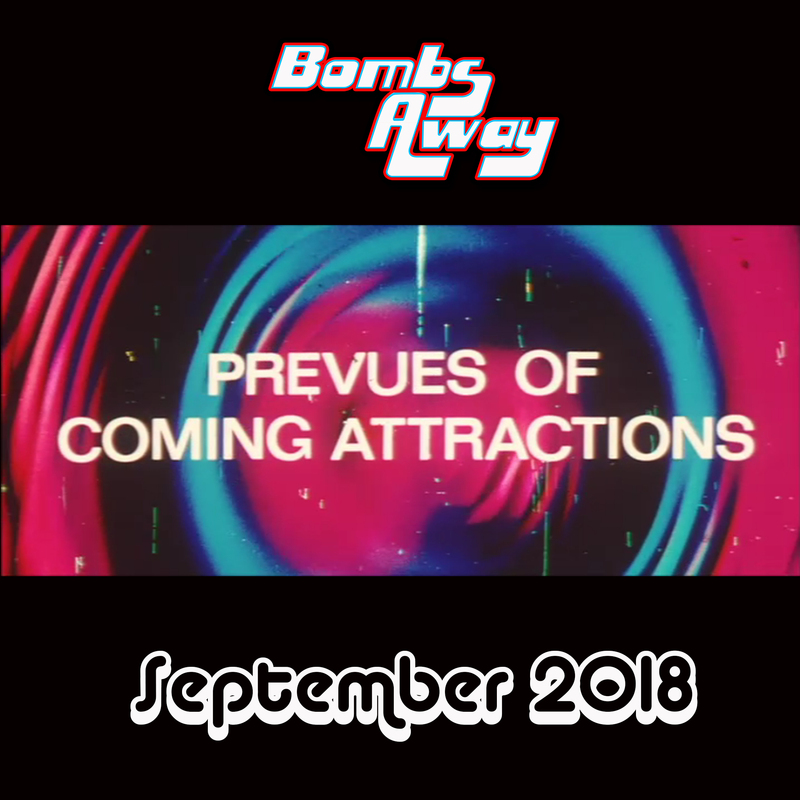 Our live show is upon us on August 16th, 2018 but before attacking Miami Connection find out what else is coming to the show for the remaining weeks in August.